Quickly scan this year’s film award lists and a strong theme emerges: survival. In fact, the three films with the most Oscar nominations are all about survival. There’s The Revenant (with 12 nominations), in which Leonardo DiCaprio fights to survive alone in a fierce environment after enduring a bear attack and being buried alive. 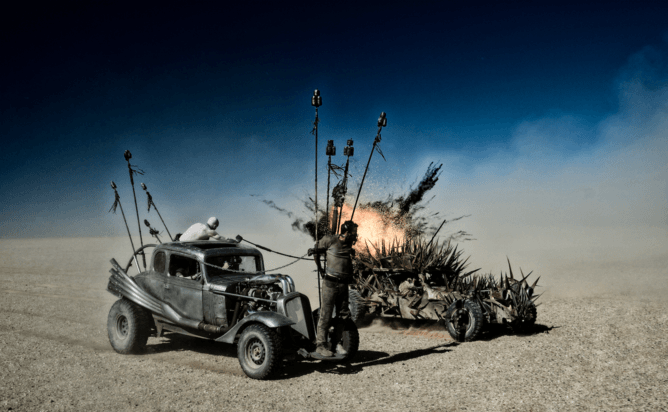 Mad Max: Fury Road (with ten nominations) features Tom Hardy as a weird loner in a post-apocalyptic desert, attempting to avoid being used as a “blood bag” by its vampiric inhabitants. Finally, in The Martian (seven nominations), Matt Damon plays an astronaut who, left alone on Mars, must work out how to survive in an utterly uninhabitable environment long enough to be rescued. All three films, then, depict figures battling to survive in hostile and seemingly hopeless conditions. Whether isolated mentally by the breakdown of society, or physically in the desolate landscapes of the wilderness and Mars, these men are united by an impulse to live on when hope seems lost. We can trace cultural responses to the fear of having to survive, alone, in a threatening world right back to the origins of English poetry. The Exeter Book – an Old English manuscript that dates from around AD 960 – tells the stories of wanderers and seafarers (not unlike DiCaprio’s revenant) who must endure the deaths of kinsmen and travel the paths of exile, suffering frost-bound feet and being forced to paddle the ice-cold sea with their hands. Tales of the hardships experienced by lone travellers, hermits, and strangers in foreign lands crop up time and again in literature. Arguably, the very first novel written in English, Daniel Defoe’s Robinson Crusoe (1719), depicts a shipwrecked man doomed to spend 28 years removed from civilisation on a desert island. There are certain periods in history, however, during which the interest in survival seems particularly strong, and the beginning of the 19th century was one. Texts began to appear that imagined isolated figures who not only felt completely alone in the world, but were, in fact, the last man on earth. 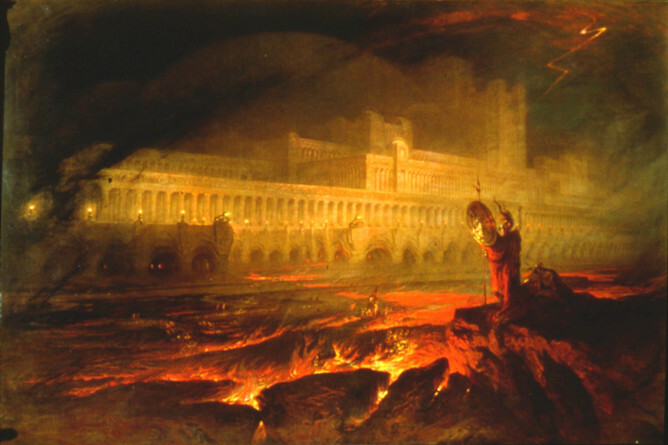 This fashion for depicting the last man even extended into the visual arts, with the painter John Martin creating several scenes in which a lone figure stands against an apocalyptic backdrop. John Martin, Pandemonium, c. 1825. This trend for the last man flourished throughout the 1820s, transforming the celebrated Romantic figure of the solitary into an individual who must survive alone in the world. One of the most famous responses to the theme is Mary Shelley’s novel The Last Man (1826), in which a ferocious plague sweeps the globe at the end of the 21st century, eventually leaving just one man, Lionel Verney, alive. 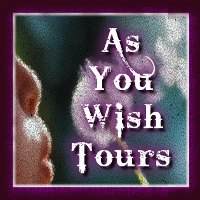 Desperate to find other survivors, Lionel travels determinedly from city to city, driven by his fear that he will always “wake, and speak to none, pass the interminable hours […] islanded in the world”. The figure of the lone survivor continued to be of interest to writers and artists in the coming centuries. In the late Victorian period, for example, H G Wells imagined a time traveller journeying to the distant future and having to survive in an unrecognisable world in which humanity has split into two distinct species: the childlike Eloi and the blood-thirsty, cannibalistic Morlocks. Later, during the 1950s, Richard Matheson’s novel I am Legend (1954) (a text subsequently adapted for cinema no fewer than three times) portrayed a single man battling for survival after a global pandemic turns all other humans into vampiric creatures. More recently, Margaret Atwood has explored the lone survivor theme in her novel Oryx and Crake (2003), while Cormac McCarthy depicted the aftermath of the breakdown of civilisation following an unspecified disaster in his harrowing tale of survival, The Road (2006). Despite their dramatically different settings, these texts are united by their protagonists’ determination to survive in desperate conditions. While the fear of being alone is a perennial concern, there are clearly periods in history when an interest in survival becomes part of the zeitgeist. 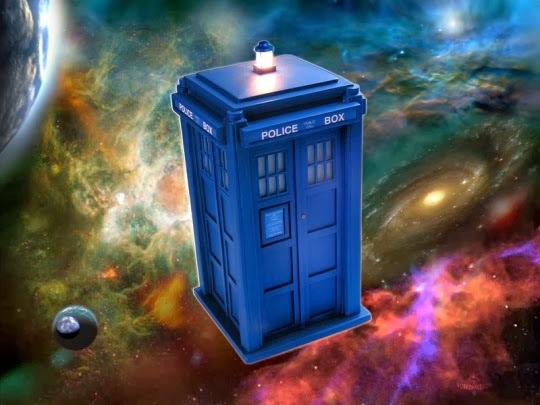 Whether prompted by the new scientific theories of the early 19th century that highlighted mankind’s vulnerability in the universe, the anxieties concerning degeneration of the late Victorian period, or the prospect of nuclear war in the mid-20th century, there are certain threats to humanity that prompt a renewed fascination with tales of survival. The three survival stories that have dominated the Oscar nominations this year reflect how we are currently living in just such an age of survival anxiety. In a time of threats from terrorism, potential ecological collapse, nuclear weapons, and genetically-engineered viruses, the human race faces, according to Stephen Hawking, “one of its most dangerous centuries yet”. 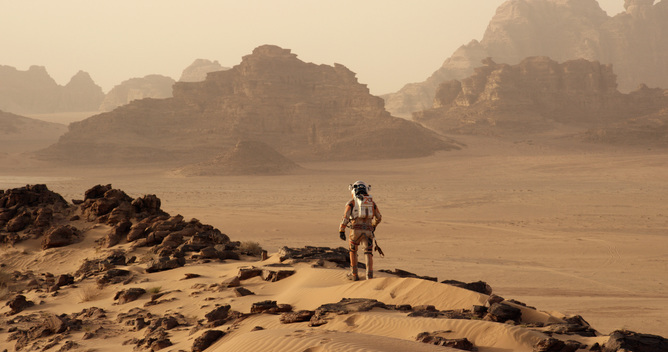 This collective fear has certainly prompted a trend for a cultural output that considers survival in all its forms, but despite their differences, The Revenant, The Martian, and Mad Max all depend visually on the stark image of a lone figure in a vast and hostile landscape, responding to the vulnerability of humankind with the strength of the individual. Whether he finds himself in the dusty desert wasteland of a world ravaged by nuclear war, the immense and arid surface of Mars, or the freezing wilderness of the Louisiana Purchase, the survivor figure must fight on. This results in the message of these films ultimately being one of hope: of rescue, of return, of revenge, and of potential new beginnings. No matter how bleak the conditions or how slim the odds, we cannot help but cling to the prospect of survival.